Derby rounded off their pre-season preparations with a 2-1 win over newly promoted Wolves. Wolves won the championship last season and now find themselves amongst the sports elite in the Premier League! Without getting too carried away it was another strong showing from The Rams against higher league opposition. Overall Frank Lampard’s preparations have gone very well. It’s obvious for all to see that Harry Wilson, Mason Mount and Florian Josefzoon are signings with potential. They have all impressed in pre-seaspn. Our new striker Jack Marriott didn’t make the squad on Saturday, but I suspect Frank Lampard won’t wait too long before introducing him to the first team. He’s the latest player to come off the Peterborough production line and if he is as good as others like Dwight Gayle and Britt Assombalonga, we shouldn’t be disappointed. Once again we find ourselves on the road for our first game of the season. Again it’s also on live TV as we travel to The Madejwski Stadium to face Reading and former Rams manager Paul Clement. The important thing for me will be to avoid defeat. There are a lot of strong teams once Gaian, who could challenge for the top six. Besides the three sides who failed to negotiate the play offs, off which we were one, you have three relegated sides and those who were there or thereabouts last season. Also our rivals across Brian Clough Way have been very busy in the transfer market and made some very interesting signings. We may have a real fight on our hands this year to out perform them again. 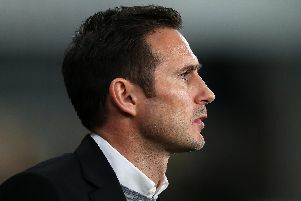 The Championship again looking the division with the deepest pool of strong teams it will be a long and hazardous journey, but let’s get behind Frank Lampard, Jody Morris and the team and hopefully cheer our team to a successful season.